Lead engineer for the development & prototype build of a Aero-vehicle structural anomaly mapping and characterization system, SAM/Nova. Concept is a broadband NDE sensor suite for the external, rapid, end-to-end automated NDE assessment of external fixed wing and rotary aircraft using an automated guided vehicle. Prototype realized with sensor suite integrated into an inspection management system with a layered database, registered on the 3D-airframe model. Development is significant for its best in class inspection ROC performance achieved through exam and analysis automation. Capabilities established for detection, typing and sizing of accidental and environmental damage to composite structures. Evaluated applications include Space shuttle RCC, Shuttle external tank foam insulation attach, commercial control surfaces and empennage, A-10 wings for battle damage assessment, B-2 LO surfaces impact damage assessment and black-hawk helicopter blade composites. Additional sensors (Thermography, array eddy current, Laser UT) incorporated into design to achieve end-to-end automated assessment of surface and subsurface cracks and corrosion in skin/rib/stringer/spar constructions. Recognized for successful integration of prototype into B&GA environment for validation. Additionally responsible for core repair development activities including; Reverse Engineering technology development using Flash CT, scanning CMM and White Light methods to develop point clouds, establishment of software protocols from those point clouds to the STL or PM replicated part, and review and substantiation of repair processes for both legacy and growth propulsion system turbo machinery and combustion devices. Appointed process leader for the globalization of this effort and establishment of design services in Bangalore India. Team leader for turbine blades and vanes process validation team. Developed & implemented model for tracking & assuring supplier first pass yield capability for production and service aftermarket needs on the V84 & V94 engine series. Developed Radiographic, GridStation ET and UT methods for control of blade and vane processes, both in house and throughout supply chain (Howmet, Sulzer Metco, Chromalloy, PCC, TACR). Conducted tech requirements review program and implemented process key characteristic monitoring program with suppliers to establish self release environment & extract shared savings. Conducted 6 sigma projects for supplier process health. Serve as technical liaison to the coatings and materials engineering function in Muhlheim for turbine blades and vanes. Developed component repair strategies and scrap blade/vane recovery programs, e.g. recoat & laser redrill, at target suppliers. Provide native speaker liaison services for British and US engineering groups. Siemens-Westinghouse team performance award for achieving a 40% reduction in casting and coating supplier deviations. Assess NDE process reliability to develop and assure component life estimates, maintenance planning, safety and inspection economics. Support TOGGA efforts to define actions for MED/WFD aging aircraft initiatives. Work with Structural Damage Technology group to develop reliability models and methods that validate probability of detection estimates, and provide real-time process health monitoring. 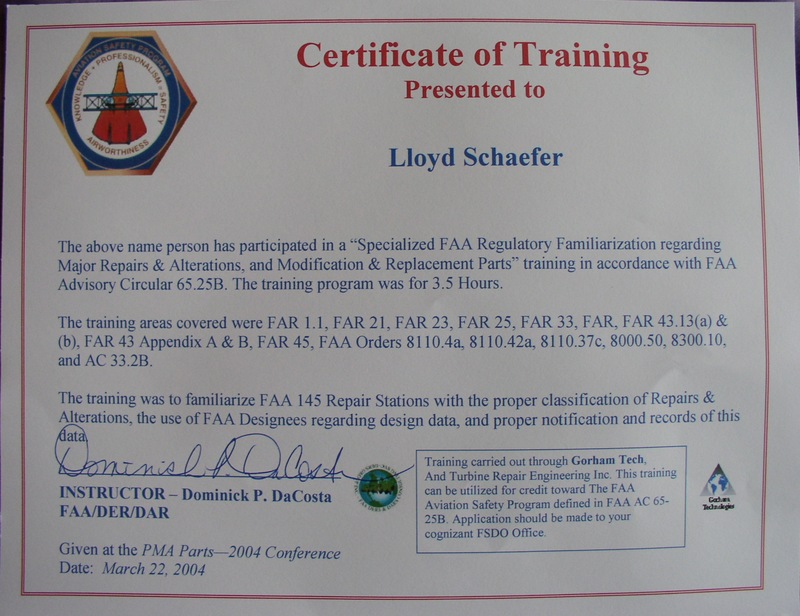 Completed joint reliability validation program with Sandia FAA validation center for 737 lap splice propagation monitoring. Work with Delta, Northwest, United to define fleet distribution of 737 lap splice degradation due to 2nd layer bend mode cracking. Investigate enabling technologies such as; EC array probe imaging, thermography, & pulsed eddy current to reduce costs for life extension in-service inspection. Develop and implement aging aircraft inspection procedures. Ensure audit compliance for government airworthiness directives. Promoted from Engineer Specialist in an integrated product team (IPT) supporting development and fleet management of rocket turbomachinery and combustion device systems. Managed certified special processes and quality systems throughout development supply chain. Present and substantiate supply management needs in program reviews. Established web based process monitoring and corrective action system for suppliers. Conduct root cause analysis and supplier on-time and quality score card review. Conducted inspection & process monitoring technology development programs specific to X33. Developed divisional software & standard for viewing and interpretation of investment cast blade radiographs and XIM CT images on remote workstations using MATLAB. Investigated new technologies such as laser shearography, laser based ultrasonics, acoustic emission, and pulsed infrared thermography, to improve inspection reliability and reduce costs. Received QA director’s award for implementation of manufacturing stream shearography on the X-33 nozzle braze bond complex, following successful completion of the X33 engine test program. Technical lead for materials characterization & NDE efforts supporting engine/APU fleet inspection and maintenance of turbine sections. Assess SRD (service revealed difficulties) failures of turbine section components (blades, vanes, rotors) for root cause. Determine potential life extension solutions through inspection development and probabilistic life predictions. Review and approve repair and overhaul center NDI plans and procedures. Respond to regulatory authority airworthiness directives (A/Ds) supporting the FAA-DER. Support new engine development activities for AS900 and low cost blade material initiatives. Develop inspection concepts for ceramic blade initiative on next generation APU turbines. Characterize compressor section lifing issues for inspectatility within the Avco 502/507 engine family. Prepared successfully funded (2.4M) 5 year technology roadmap to reduce inspection costs by 40% while improving and assuring probability of detection. Established product of the process acceptance criteria to improve value. Constructed design templates to ensure inspectability and validated initial defect distributions for safe life designs for the DFME (Design for Manufacturing Environment) initiative. Introduced eddy current, ultrasonic and radiographic modeling capabilities and division-wide NDE data analysis network. Led the AlliedSignal representation on the FAA Engine Titanium Consortium program for inservice inspection methods development and inspection reliability prediction. NDE industrial advisory board member for AlliedSignal at the Center for NDE at Iowa State University. Transition NDE quality system to ISO compliance. Propulsion products: Scope of responsibilities included; materials & process development, product/process assessment, & Space Shuttle main engine test/flight anomaly resolution & Quality program management. Defined, characterized and implemented materials & NDE solutions for propulsion turbine fracture critical components for the SSME and Delta, Atlas, & ALS turbomachinery & combustion devices. Performed metallurgical first article assessment and production NDE technique development for superalloy investment castings of blades, vanes, shrouds, turning vanes, volutes & inlets. Developed & implemented hybrid cast microshrink rating standard for LOX turbomachinery castings. Lead engineer for weld & braze assessment team tasked to identify and reduce NDE revealed discrepancies. The effort achieved a 38% reduction in weld process reductions through a combination of weld process improvements, weld finishing technologies and NDE method improvements. Conducted metallurgical lab investigations to correlate NDE results with structural and material requirements. Power Systems: Quality program manager for the 5 EPS major subcontractors; Loral, LTV, Lockheed, UTC, & Moog. Prepared technical proposals for Quality & NDE efforts. Managed cost accounts and planned level of effort and staffing budgets. Co-Developed fully automated UT & ET system for the Space Station Electric Power NiH2 thinwall welded pressure vessel program. The production inspection system was submitted with Southwest Research Institute for an R&D100 award. Was named a Rocketdyne Engineer of the Year from the Space Station Electric Power program for 1993. Assure ISO9000 transition and compliance for the NDE product area. NASA qualified fracture control NDE specialist, performing MSFC-STD-1249 special level NDI. Member of Fracture control board, chairman of division NDE review board. inspections. Perform NDI on customer supplied products including; castings, welded and brazed assemblies, and forgings. Write NDE specifications in response to B-2 production inspection program for composites. NDI (UT, PT, RT) evaluations of aerospace applied forgings with emphasis on high temperature alloys for turbine engines, and petrochemical markets (wellhead and tubular product). Performed metallurgical process and NDE laboratory functions as applied to deep drawn and welded pressure vessels in accordance with ASME & DOT codes, including; physical testing, heat treat, NDT (UT,RT,PT,ET), process chemical analysis and metallography. Worked in AllisChalmers corporate R&D laboratories learning metallurgical analysis practice for materials and processes in the turbine division. Learn & apply metallographic practice, physical test techniques, metallography & NDE. Assist in collection and evaluation of impeller material failures. Work with MTS automated test systems to develop Materials Handbook V physical property data for the staff engineers. Received outstanding assessment at program completion from Dr. John Philosophos. Rocketdyne Quality Engineer Of The Year, 1993: For advances in NDE on the Space Station program. 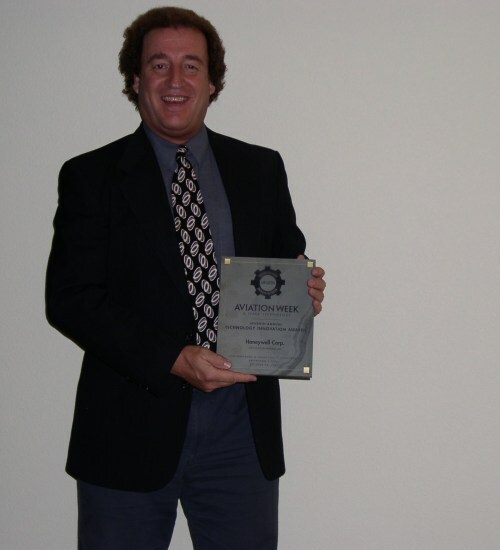 Rocketdyne Leadership Award, 1992:Excellence in management of the Space Station NDE program. NASA Silver Snoopy, 1989:Process improvement in welding for the Space Shuttle Engine program. Siemens-Westinghouse Next Generation Design Philosophy Award 2001: Recognized for completion of the NDE, Quality, Specifications and Reliability chapter for the joint European-American turbine design.